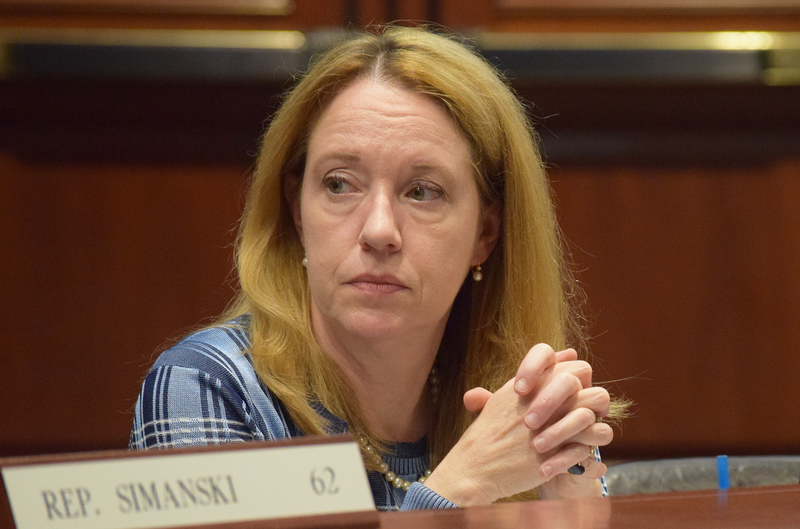 HARTFORD – The legislature’s Education Committee met to take action on bills that would create a path for the state to study regionalization and consolidation of local school districts. 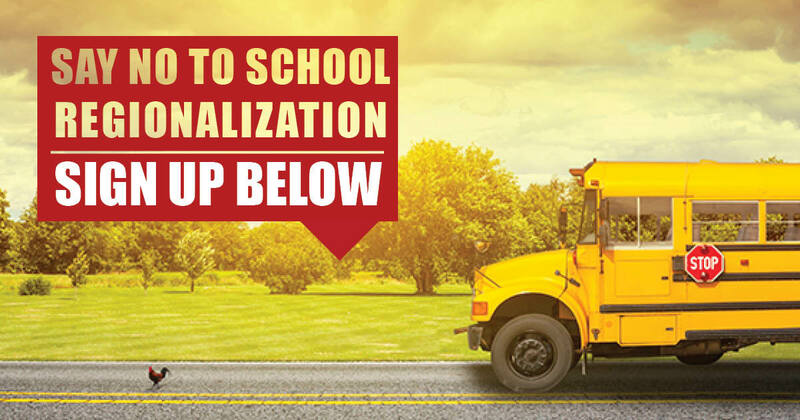 State Rep. Leslee Hill (R-Canton) voted against all proposals that could lead to diminished independence of local school districts and the municipalities in which they are located. 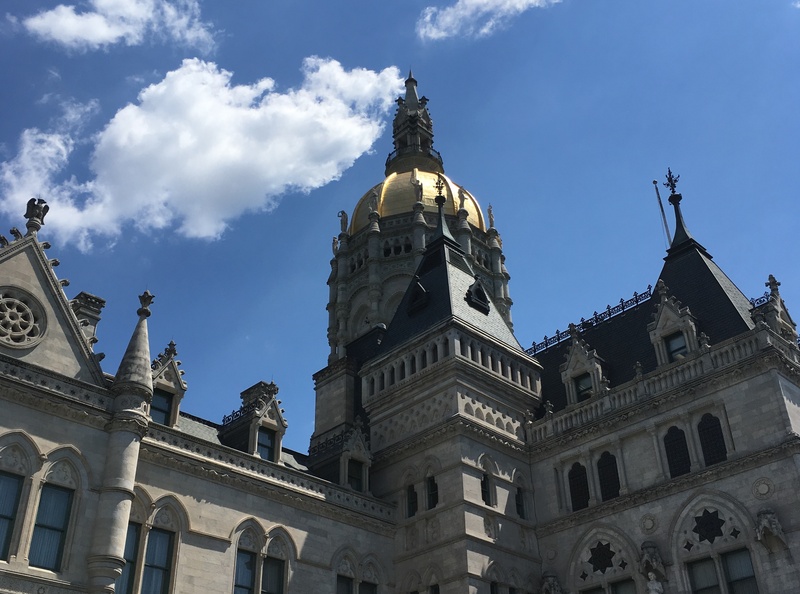 HARTFORD – The Planning and Development Committee heard testimony on several pieces of legislation during Friday’s Public Hearing at the Legislative Office Building. During the hearing, State Rep. Leslee Hill (R-Canton) spoke in opposition of H.B. 7319: An Act Concerning Fiscal Independence of School Districts. This Friday, the Finance, Revenue, and Bonding Committee of the General Assembly will be holding a public hearing on Governor Lamont’s proposed revenue budget and the Senate Democrat Leader’s proposal to institute a statewide property tax and a statewide car tax. 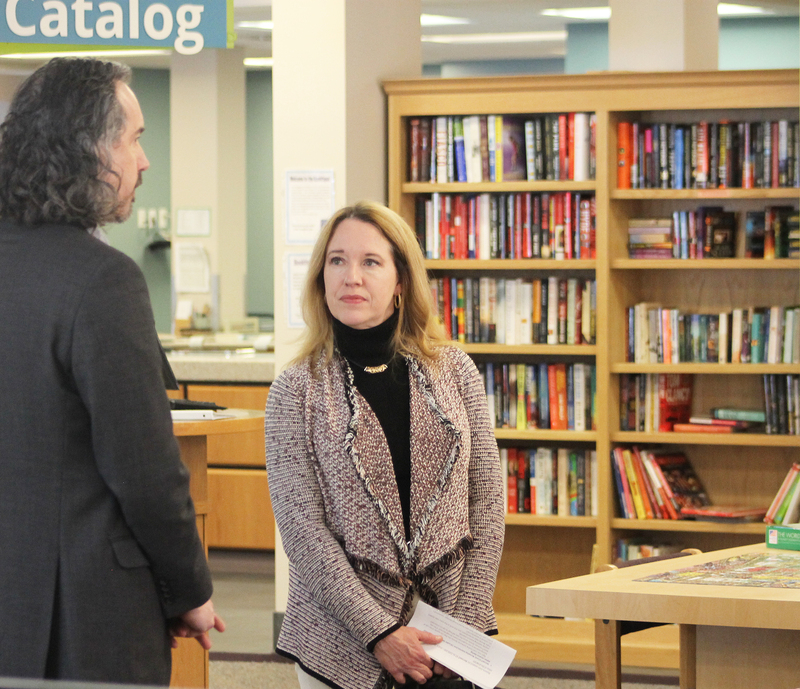 AVON – State Representative Leslee Hill (R-Canton) was invited by Avon Public Library’s Director, Glenn Grube, to tour the facility and to learn about the positive impact the library has on the community. “I’d like to thank Glenn for inviting me to tour Avon’s beautiful and up-to-date library. The library is home to much more than books, featuring a computer learning center, teen room, and many children’s enrichment nooks. 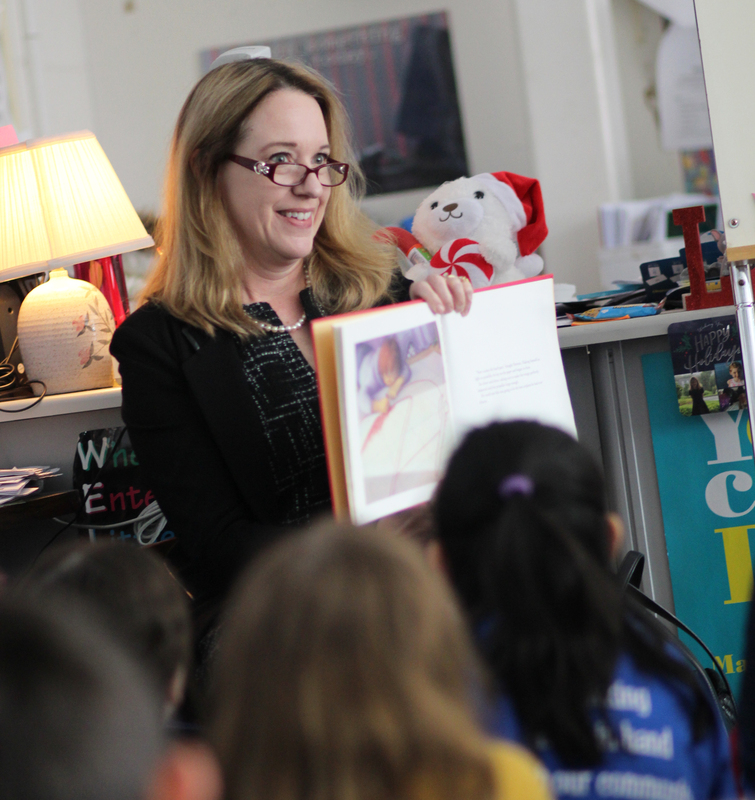 Clearly, there is a dedicated staff and an ongoing effort to keep the library a viable option for students to go after school and to continually provide so much to them in the afternoons,” explained Rep. Hill. 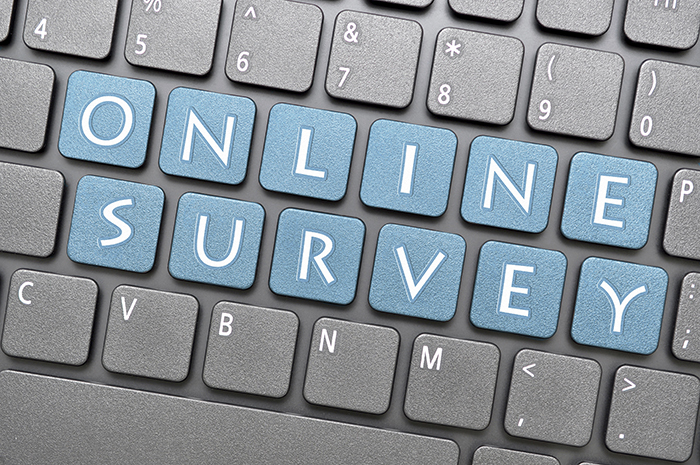 Thank you to everyone who participated in my survey, we had over 350 responses and your input is integral to my ability to accurately representing our community. You can view the results by clicking here or visiting my website. Below, I have provided a short summary based on the survey results. Photo: State Rep. Leslee Hill speaks with residents of Avon at her coffee hour event that took place at Beanz & Co. on Thursday, February 21. 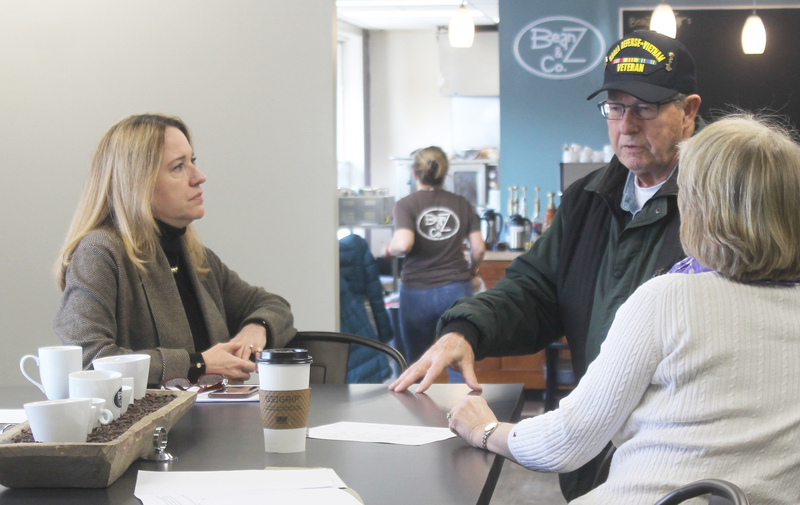 AVON – State Representative Leslee Hill (R-Canton) held a coffee hour on Thursday morning at Avon’s BeanZ & Co. and in the evening hosted a pizza and politics discussion at LaSalle Market & Deli in Collinsville. Rep. Hill created these events to provide opportunities for residents, members of the local workforce, and area veterans to discuss issues related to our state government. At both events, Rep. Hill provided short updates regarding the most recent budget proposal and answered questions from those in attendance. 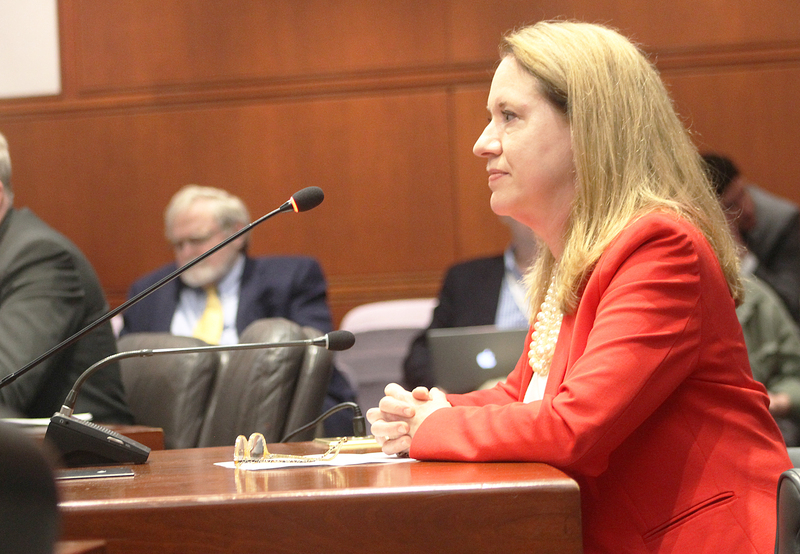 HARTFORD – State Representative Leslee Hill (R-Canton) listened as Governor Lamont gave his first budget address to the General Assembly. His comments focused on the need for the state to embrace technology and to address the long-term financial issues by raising tax revenues. “My optimism quickly turned to confusion as the governor presented his budget priorities today at the Capitol. He spoke of the need to modernize the state, making it more attractive for young people to be educated here and to eventually grow roots and live here. I agree with him, we need to make more business-friendly decisions so that people are confident to move here and grow businesses in our state. However, we can’t do this by increasing the cost of living,” explained Rep. Hill. 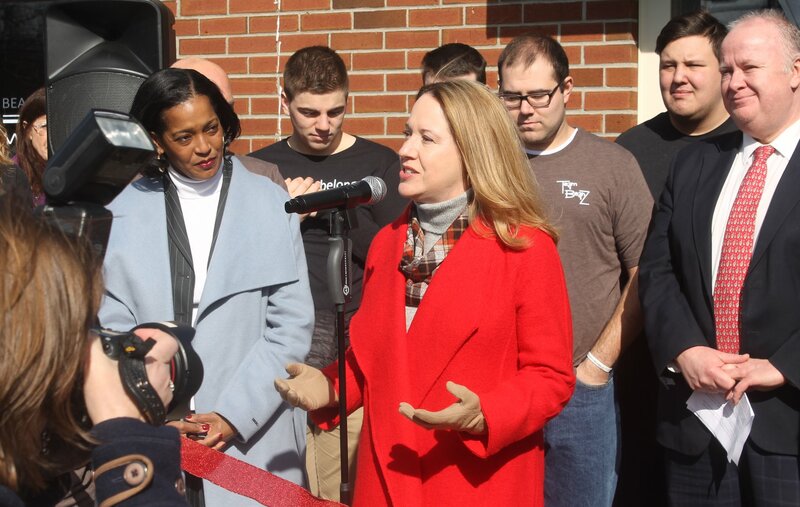 AVON – State Representative Leslee Hill (R-Canton) took part in the ribbon cutting at Beanz & Co. in Avon on Saturday, February 9th. This new cafe is designed to encourage individuals with intellectual or developmental disabilities to join the workforce. Beanz & Co. focuses on delivering a high quality product to customers, with a central focus on making sure everyone feels welcome.